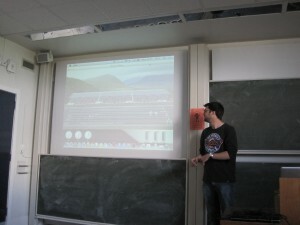 In a previous post, I presented my project on making a dinosaur racing competition. 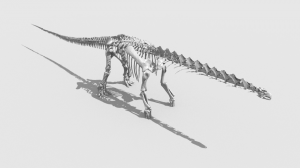 In that post, I gave some background information about virtual palaeontology, and the purpose of my project here in Edinburgh. If you haven’t read it yet, now it might be a good time to do so! So, now that the project (and the summer) is almost finished, let us see what has happened in these past two months –and what you will soon be able to enjoy! 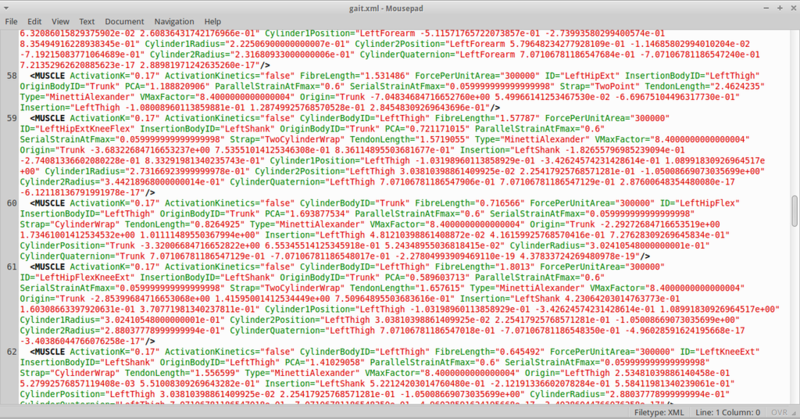 Let’s start with the boring technical part for once. Rest assured though: the simulation process has not changed much, so this section will be short. 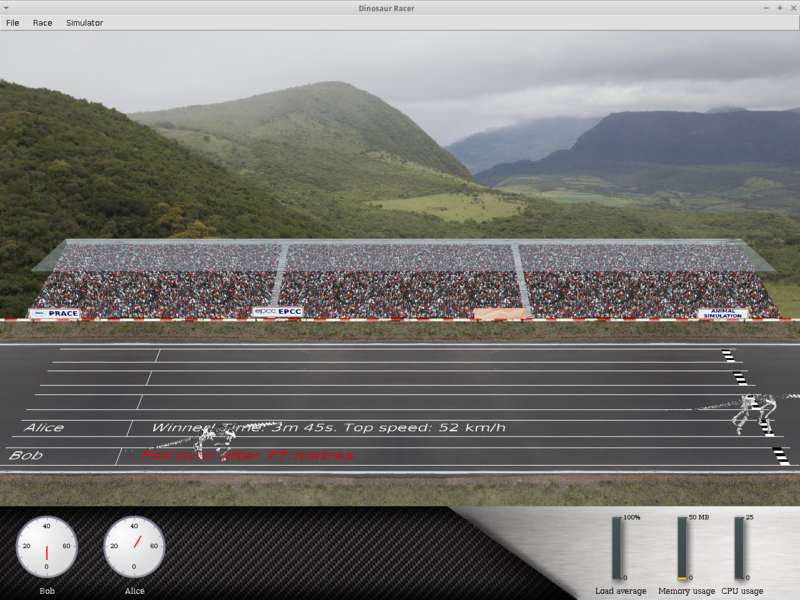 The only major difference between the simulator now and the one I presented in my previous post, is the fact that we can now obtain some information about the server’s state, which is displayed during the race (more information about that later in this post). 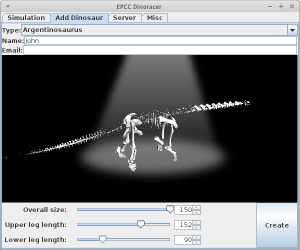 Also, for each dinosaur, the server now performs two different simulations: one in which the dinosaur is walking properly, and one in which the dinosaur is falling over. Those two simulations are then used for animating the dinosaur properly during the race. The dinosaur description sent to the server. Surely you don’t want to change it manually, do you? Those are the only changes made to the server, so let’s move on to the fun part: the race itself. 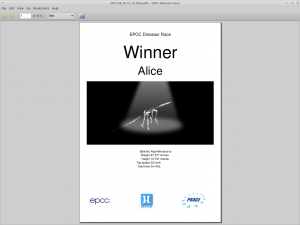 As explained in my previous post, although a prototype of the dinosaur racing application was already working when I arrived in the UK, this prototype was really simple and rough around the edges: only one species of dinosaur was available, it was not possible to configure it in any way (except by modifying a long and intimidating XML file), and little to no information was displayed during the race. This prototype was a great proof of concept, and served as a useful basis for further development, but as you imagine, there were lots of improvement to be made. So, let’s have a tour of the new features available! As explained in my previous post, the goal of this project is to allow anybody to create their own dinosaur easily. 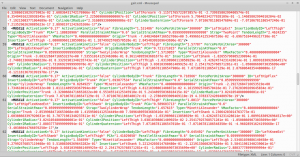 Since writing lots of lines of code, or modifying long XML files does not usually match the definition of “easy”, we figured it might be more interesting to let you design your dinosaur graphically. Hence, you can now enjoy a brand-new user interface that allows you to personalise your dinosaurs through the use of sliders and text boxes –and see the result in real-time! Be careful though, as those changes do not only affect the look of your dinosaur, but also its performance in the race! Crucial parameters such as your dinosaur’s top speed or its acceleration are directly influenced by the choices you make. Design a bad dinosaur and it might even loose its balance and fall over! If you look carefully at the first screenshot, you will see that there is an “email” field in the configuration window. 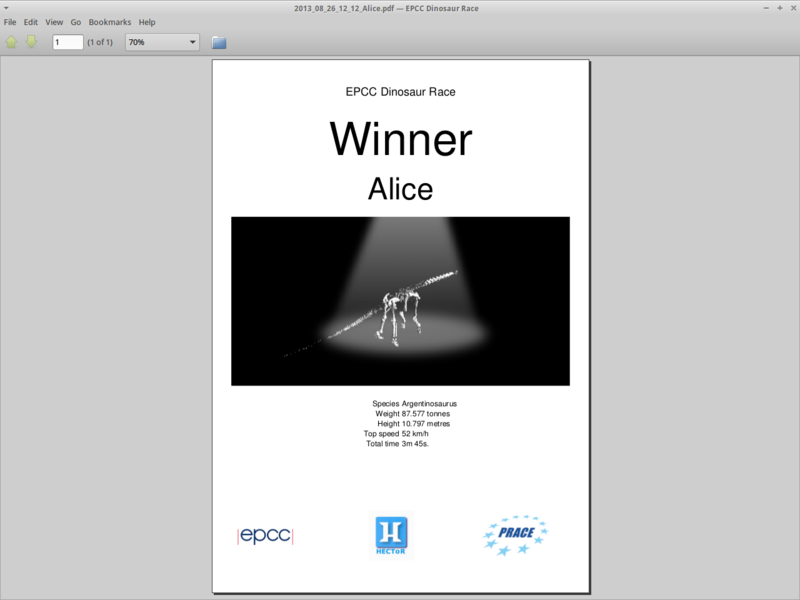 The reason is simply that you can receive a PDF file of your dinosaur to keep as a memento –or to use to brag to your friends! Come try our project, and win this wonderful certificate! Obviously, visually speaking, the race received a quite thorough refurbishing. Although the screenshots in this post show a typical Scottish scenery, you can actually even choose in which environment the race will take place! Once again, those changes are not only about aesthetics; as you can see on the screenshots, the bottom part of the window now shows useful information, such as the speed of the dinosaurs (left), or information about what’s happening on the server (right). Are you curious about what those gauges actually show? Well then, come and meet us at your local science festival and we’ll be happy to tell you! DinoRacer comes to your local science festival! If you happen to live near Newcastle, make sure to come to the British Science Festival on 7th September: there you will be able to meet the team, and test your skills as a dinosaur builder. The Dinosaur Racing project will be at the Discovery Museum on 7th September, 10AM-5PM, as part of the “What makes a supercomputer super?” presentation. 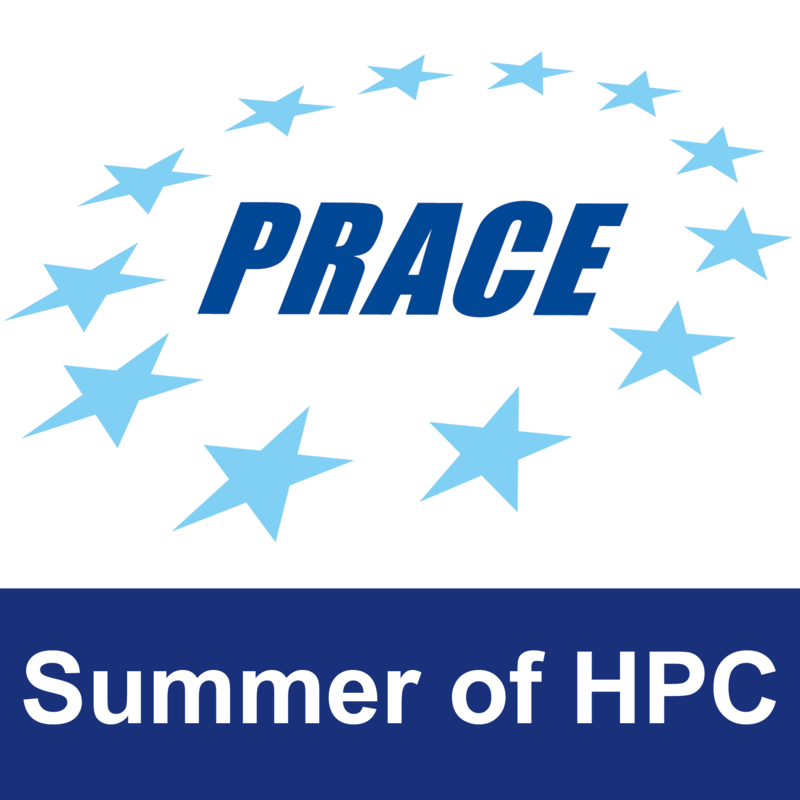 Otherwise, if you happen to be in Czech Republic, the project will also come to the EU Contest for Young Scientists on 20th-23rd September in Prague, so make sure to drop by and see if you can do better than the people in Newcastle!